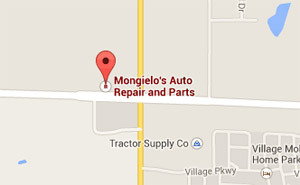 Maybe you know Dave Mongielo as the owner of Mongielo’s Auto Specialties on Robinson Road in the Town of Lockport? Maybe you know him as a community advocate that helps with fundraisers? Maybe you heard him on the radio or attended one of his reform government seminars or, maybe you know him as a volunteer firefighter? Most likely though, you know him as the “sign guy,” who elected officials claim operates his sign illegally. Dave is all of that but what truly inspires Dave is his passion for helping people. That started in the early 1980's when he was sixteen and began fixing other people’s cars at his house for free! It stayed with him and took on a new meaning 8 years ago when he started attending fundraising events with his wife Susan. He feels our sole purpose on earth is to help one another. Knowing this, it’s not hard to understand that when Town politicians told him he could not continue post videos of fundraisers on his sign because he simply moved across the street, the issue has changed his life. Since the inception of the sign debacle, doing extensive research for help Dave found there is no organization to defend ones rights. So he studied and/or attended many government, civics and law seminars Dave wonders why civics-law is not taught in grade schools today as it was 75 years ago? He believes if the teaching of civics and law were brought back into schools, we wouldn't have the problems in government we have today. He suggested I take a civics test from 75 years ago to see if I could correctly answer enough questions to receive a passing grade. I think many people alive today didn’t know it was even a course taught in school. Good Luck passing a test in it. He says that unfortunately many people are not aware of and don’t get news about a powerful process that occurs before one votes. This is his motivation in creating the “win a car” contest for 16 to 20yr old students. 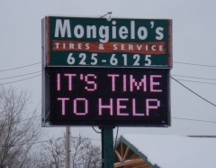 Mongielo's opposition to local government’s methods started long before the sign was erected. He has accumulated over $25,000 in fees from dealing with appointed town & city zoning boards. In 1998, laws were changed allowing insurance companies to tell customers where to go for repairs pushing customers to go to shops that used lower quality parts in an attempt to lower insurance company costs. In 2010, Town government gave one of Dave’s biggest competitors free property, school and sales tax relief. His and other local repair shops must now compete while paying 100% of these costs! What is upsetting is how government actions affect many citizens in the community; yet there seems to be no outrage or call for accountability? Dave asks, “when was the last time anyone saw the media praise local residents for exposing government corruption? Educate yourself whenever possible and beware of the agenda driven media like small town newspapers that fail to report or even possibly sway the facts”. David’s business has helped multiple customers in lawsuits due to insurance company’s cutting corners on collision repair. One customer whom Dave supplied with documents received a $1,200.00 refund because of poor mechanical repair without having to go to court. 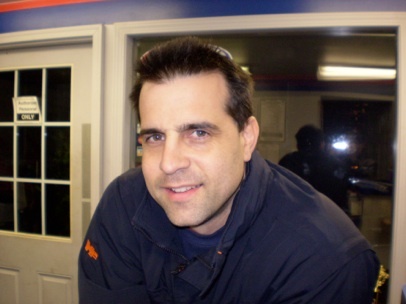 To this day, he fights for original better quality parts and he strongly recommends people look for ASE Master Certifications in repair facilities. Mongielo's did receive a 98.5% approval rating in a AAA customer survey, AAA said it was one of the highest in WNY.